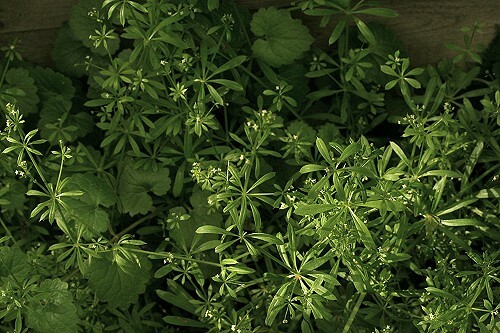 Goosegrass is a common garden weed which thrives in woodland, hedgerows, wasteland and gardens. 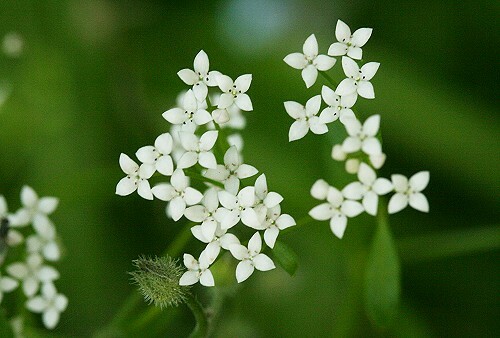 The flowers are minute (about 2mm diameter) with four white, pointed petals. The leaves and stem are covered in tiny, hooked hairs. 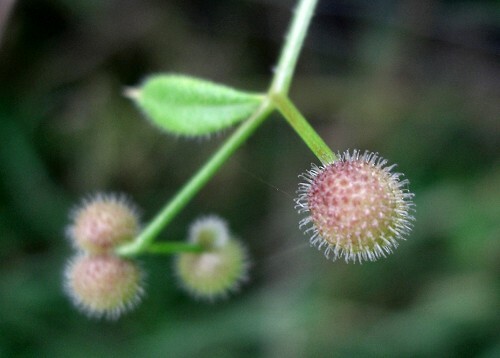 The flowers are followed by pairs of round hooked fruits which cling to clothing or animal fur. Goosegrass is used in herbal medicine to treat a variety of ailments.